Here is #10 from the Re-ment "Mom's Kitchen" series from 2005. 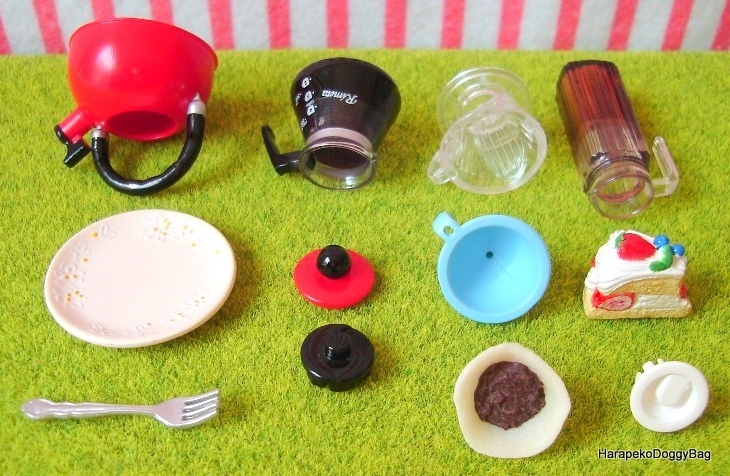 Keywords: Re-ment, Rement, Japanese Toys, Miniature, Miniatures, Dollhouse, Doll House, Puchi, Mini, Kawaii, Cute, Mom's Kitchen, Coffee, Coffee Filter, Red Kettle, Cake, Plate, Fork, Kitchen Funnel. Below is a sample photo of the possible paint problem in this set.